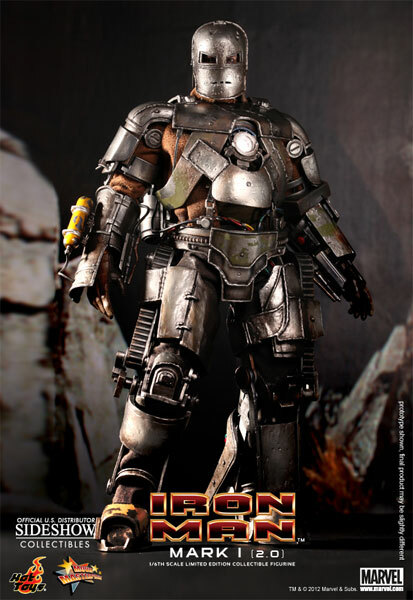 Order the Iron Man Mark 1 (2.0) Sixth Scale Figure today! Inspired by the first Iron Man movie, this beautiful figure is intrically detailed and captures the lo/hi-tech version of Tony Stark’s first Iron Man armor perfectly! 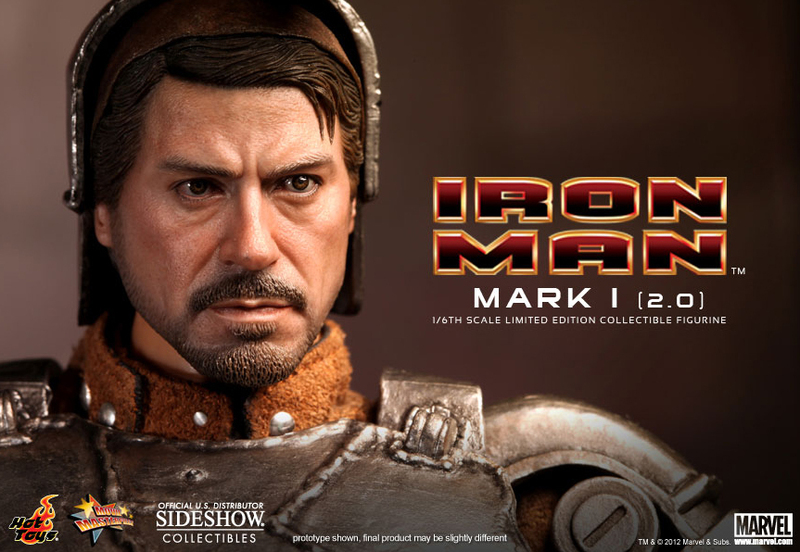 Take off the helmet, and their is a fantastic likeness to the actor that brought Stark to life, Robert Downey, Jr.! This figure stands 12″ inches tall and has 36 points of articulation. Hot Toys artists on this figure include KOJUN (Head Sculpt), Lalla (Armor Paint) and JC. HONG (Head Paint and Paint Art Direction).